When Levi started ignoring her, Katie didn’t think her relationship with the boy she loves could get any worse. Then Levi hurt her in a way she never thought he would, and she’s not sure if she can ever forgive him. Levi is dealing with his own problems, and he has his reasons for shutting her out, but how can he convince Katie he only wanted to protect her? On summer break, Katie and Levi spend some time together, and they might finally be able to put the past behind them. Can Katie find it in her heart to trust Levi again, or will Levi’s issues drive a wedge between them forever? 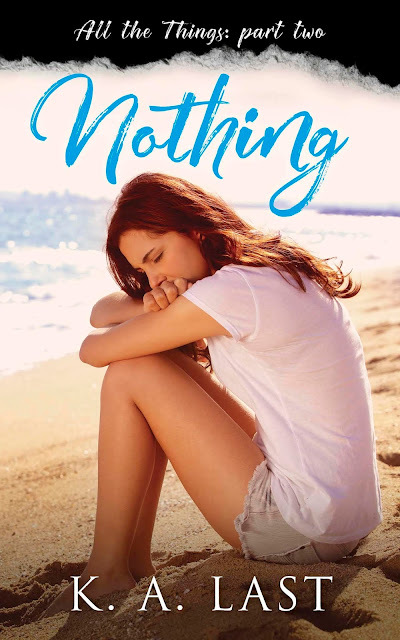 Nothing is part two of All the Things, a three-part Young Adult Contemporary series where heartbreak and forgiveness go hand in hand.